Spring and summer are the most popular months to move to the Boston area. Whether you’re moving across the country for job relocation, college, family, or just want a change of scenery, the Boston area welcomes you. However, moving can be a stressful endeavor. There is a lot to consider when moving across the country, and it’s easy to forget something. No matter the reason, many families will rely on short term storage to help them with the transition. When it comes time to move, utilize these tips to make your move as efficient and seamless as possible. 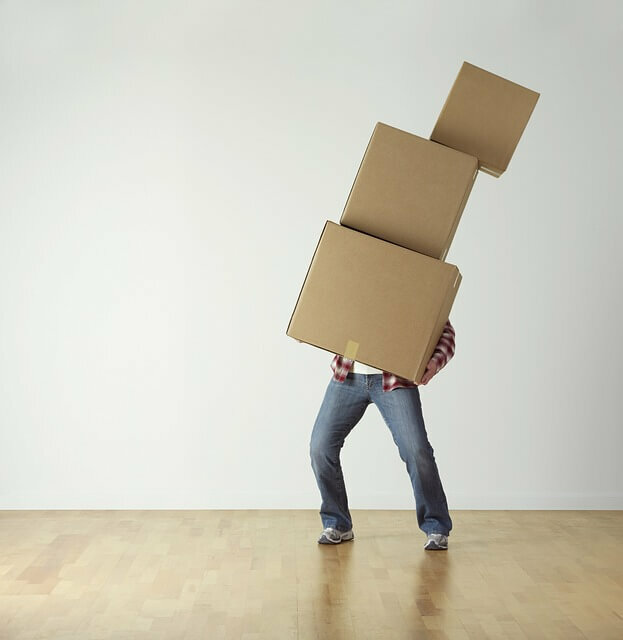 When you are moving long distance you have the choice to either rent a moving truck or hire a moving company to transport your belongings. . Making the move on your own will allow you to keep a closer eye on your items, but it will also create more security issues when the vehicle is left unattended. When you research a moving company to help with your move, read their customer reviews online and make sure they are licensed, insured and bonded. Get estimates and interview at least three moving companies before making your decision. You can find more advice on choosing a moving company in our blog. When it comes to organizing your move, making a list is the best place to start.. Create a timeline of what needs to be taken care of before, during and after your move. Moving is an excellent time to declutter and sort your items, which will be helpful when it comes time to pack your belongings. Use our handy moving checklist to make your move a smooth one. When you move across the country, you’ll need to pay attention to a number of details such as travel arrangements, mail delivery changes, finding new healthcare providers and where to store your furniture if your new home won’t be ready immediately. Depending on the climate of your destination and types of items you’ll need to store, climate-controlled storage may be your best option. Protect valuable items, wood furniture, electronics and artwork in heated and air conditioned storage units during all kinds of weather. Location is also an important consideration when choosing a self storage provider to help with your move. Choose a storage facility that is near your new home or temporary housing, so you can quickly and easily access your belongings. If you have a large amount of items to store, a drive up unit will be the most efficient way to move your items in and out of storage. EZ Storage has three west Boston locations in Framingham, Newton, and Natick. All three locations have drive up storage units big enough to store household furniture and even cars. Our knowledgeable location managers can help you choose the right-sized unit for your move. Ready to get started? Contact EZ Storage today!